‘OK so this had better be good… I have promised our kids (a vivacious 6 and an energetic 4) a fun afternoon activity with Mummy and it has arrived! The Bumper Rainforest box from The Weekend Box Club has popped through our letterbox and two excitable children rush to grab it first…. 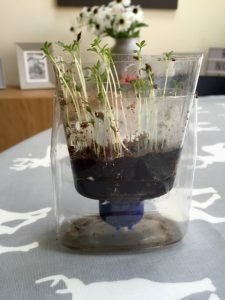 I am so looking forward to spending some quality time with the kiddies, doing an activity that I didn’t have to think up, plan or forage about in cupboards for. It is an even bigger bonus that I can enjoy this quality time whilst supping a hot cuppa! Sitting at the kitchen table, the opening begins and we have a gorgeously designed themed box, addressed to them and jam-packed with envelopes, instructions and activities. There are 4 main activities in each bumper box all wrapped in their own separate coloured envelope, each relating to a likeable animal character Oswald, Wooster, Hattie and Sammie (the kids have already chosen their favourites…). 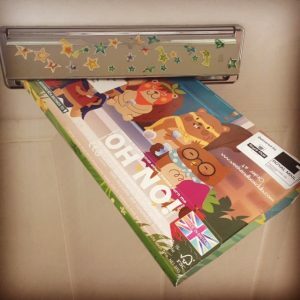 Each envelope contains instructions and all the main bits you will need for an activity and there is also an additional fun fact sheet, stickers, a certificate to colour in and themed jokes too! Firstly, we decide to make the rainforest and all I needed to find was an old water bottle and some water. Clearly written instructions with pictures ensured that not only could my 6-year-old read the instructions but my 4-year-old could also follow the pictures. We used the earth pellets provided, string, water and seeds to create our own little rainforest which now has pride of place in the kitchen and I am pleased to say is growing fast! Along with the activity there are some great fact sheets and we had great fun imagining what animals would live in the rainforest and learning from the facts provided whilst creating our little soon-to-be green haven. 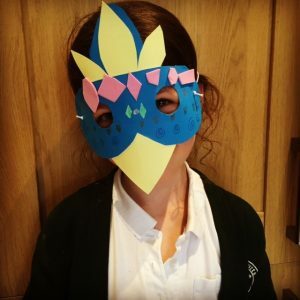 Next up, the kids choose to create a parrot mask and again they followed the clear instructions and managed with little parental input from me. Adding a little extra decoration to the face, they squawked and chirped their way through the activity, pretending to be parrots in the Amazon and imagining what (and who! ) they may eat. Here it is, the parrot mask! Two fun activities and 1 whole hour of concentration down, the kids decide it is time to chase each other around once more and we decide to tackle the other 2 activities, a cookie making recipe and a create-a-snake-kit, tomorrow. 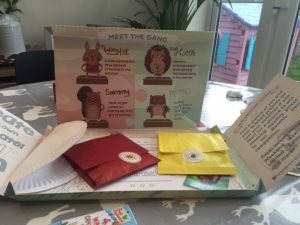 Sceptical about activities keeping my errant children’s attention and inspiring their imagination, I was completely and unreservedly impressed with the Bumper Rainforest box from Weekend Box Club. It is clear that so much thought has gone into each activity and box, there is evident attention to detail and incredible content. Both children loved each activity, they were fully engaged and I loved spending the time with them. For me, the key point is that it represents incredible value for money, at £5.90 (Little Bird offer price) with free delivery, working out as £1.47 per activity. For £2.95, to keep my two energetic children engaged and stimulated for 1 hour, to me, is a complete success and is well worth the money. You can currently enjoy 21% off a variety of Weekend Box Club activity boxes on LittleBird here.